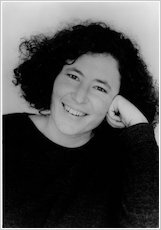 Nasty little nightmare Horrid Henry goes on the rampage yet again in a trio of terrible tales. Henry makes sure he gets the presents he wants for Christmas, sabotages Sports Day, runs away from home… and thinks of a brilliant way to get rich quick by selling off his little brother. it’s a great book all of Francesca Simons boook are amazing i’ve got more than five of the books! 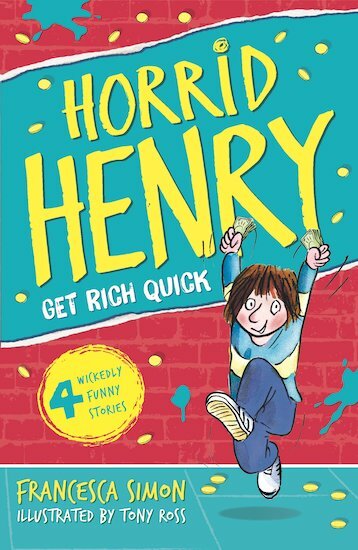 I think that this book is amazing like all the other horrid henry book. Henry decides to make some round pennies, but will he choose the right way to earn them? Simply amazing, wouldn’t say it’s my favourite but it’s not bad either. One of the best in the Horrid Henry series. It’s is very funny and witty. I liked the part when Peter is sold of to Henry’s next door neighbour and arch-enemy. not one of the best stories but it was okay. There wasn’t really that much speech and it was to piture graphic (to many pictures in it)but other than that it was ok. In this story Henry goes to sports day. His brother is in the egg and spoon race, he drops the egg and gets told off by Miss Battleaxe. Henry gets £3 for winning the egg and spoon race. The funny part is when his brother falls in the mud.